Guys, I’m going to enlist 3 Amazon loot deals which are having discounts up to 93%. These products are fulfilled by Amazon. 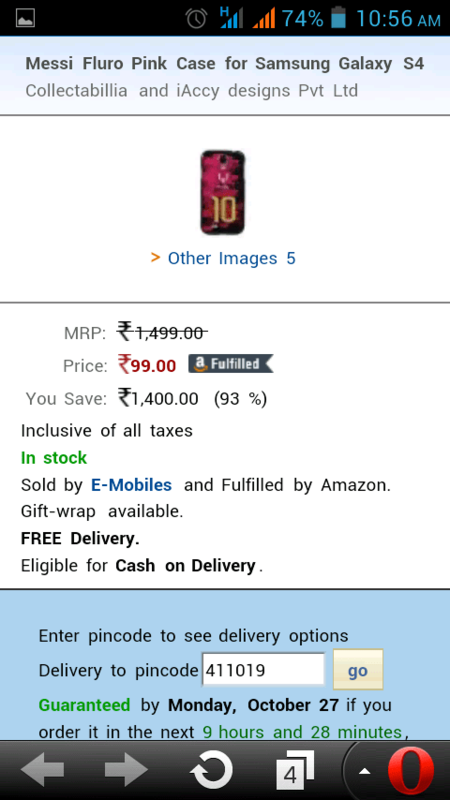 1) Get Messi Fluro Pink Case for Samsung Galaxy S4 worth 1499 rs just for 99 rs. Eligible for free delivery and cash on delivery. 2) Messi stripe case iPhone 4/4s worth 1499 rs only for 299 rs. 3) LG nexus 5 ultra screen guard worth 375 rs just for 75 rs.